Please take a moment to read and study the verse above. What does this verse mean to you? What does it mean to your spouse? What would it look like to follow the narrow way in your marriage? How would that look in your life? Take some time to discuss this with each other. It is very easy to walk through the wide gate. Satan often temps us to pick this way. It seems easier and more fulfilling. It is what our flesh wants to do. Following God every day in your marriage is going through the narrow gate. As a wife, we have a choice to forgive our husbands and see how God will bless our lives. This does not mean that your husband will not have natural consequences in his life. And boundaries are so important in marriage. But, you have the power to stop your marriage from healing. If you purposefully cling onto the hurts in life and refuse to move forward, your marriage cannot heal. It will be stuck and eventually digress. I know that this is extremely difficult to do. It might even be impossible. How can you forget something that you are so deeply hurt by? I understand because I have felt this way many times. I want you to know there is only one way. That is through Jesus Christ our Savior. Each day we must bring our hurt and sadness to Him. We must meditate on the scriptures that speak to our hearts. We must trust God by giving Him the hurt and choosing to think about the hope He has given us. If you choose to do this, it will get easier. God will be faithful and He will help you. If you are a husband, following the narrow path in life happens when you commit each day to the Lord. You make a promise to stay close to God. You pray each morning to put on the armor of God. You actively work to rebuild trust and love with your wife. 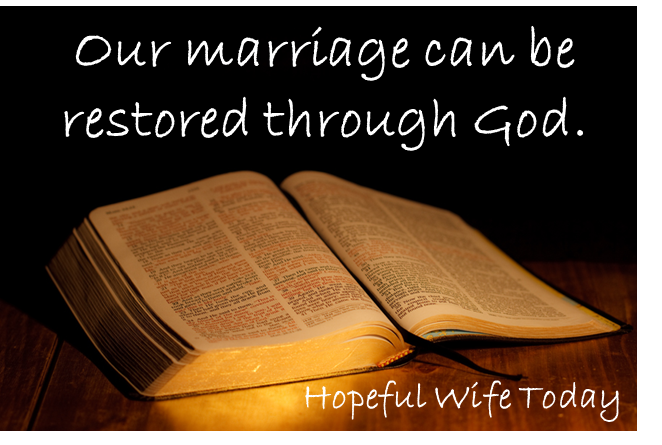 You show God and your wife that you are a faithful man, overcoming the devastation of lust. Please take another moment to read today’s verse. Write it down and commit before God and each other to follow the narrow path. We thank You so much that You invite us to go through the narrow gate. Lord, all of this is so hard to live out on a daily basis. But, God, we know that the blessings are through You. The wide gate will only lead our marriage to destruction. Lord, please be with us each and every day. Help us to choose love, forgiveness, faithfulness, and honesty. Protect our marriage and guide us each step of the way. God, we commit to following the narrow path together. Lord, we love You more than anything on Earth. We thank You for our marriage. And we thank You that You know the blessings in store for us. Did you make a new commitment today? Do you have any advice that will help other marriages? Please share your thoughts in the comments below. Click here to find out more about The Ten Prayers Book. Click here to view Draw Close on Amazon.